Cleaning can sometimes be cathartic and refreshing. But if you haven’t deep cleaned your apartment, house or business in awhile, it’s much more of a chore and much more of a pain. Spring is the perfect time to get a nice, thorough cleaning done at your place. At the very least, it makes your place beautifully fresh and clean. However, spring cleaning has an added advantage if there’s a future move on your horizon. 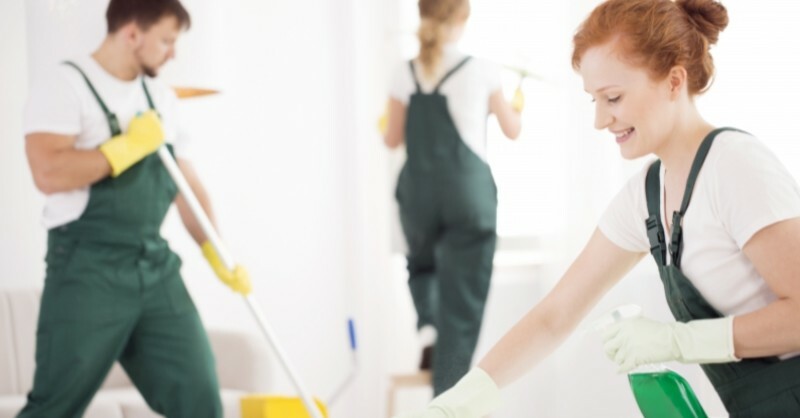 Whether you’re planning on moving out in the next month or two (summer is a really popular time to move), six months from now, or even at a further point down the road, deep cleans are necessary to help your moving process go swiftly. People often get bogged down by the amount of time it takes to thoroughly clean their place when moving out. If cleaning is done consistently, it will make your next move so much easier. Take a look at our spring cleaning list, and to make your next move even more stress-free, call our moving company for a free quote! Your floors need consistent upkeep and cleaning, and not just when you start feeling something sticky on your linoleum. Once a week, do a thorough sweeping and vacuuming, and aim to use a mop, wood cleaning solution, or other wet cleaning method every other week to really get things cleaned up. If you have a move on your horizon, you should probably consider steam cleaning any carpet in your home. Getting professional cleaning on your floors can save you that extra step when you move, and who knows — you might find something you thought was long lost! We don’t realize how much of a beating our walls take until we look a little closer. Your house will probably have pockmarks from nails and probably some chips in the paint or drywall from any artwork or frames that were hung up. Your kitchen probably has a lot more food spatter than you might guess, all of which should be wiped down. Spring is also a great time to not just clean the walls, but to get a fresh coat of paint! You can open up your windows and doors to allow for proper air flow. Be sure to look into the painting services that we at Scott’s Oceana Moving offer, for both inside and outside of your house. Every surface in your home should be consistently cleaned. Anytime there’s a mess or spill, it should be properly wiped down. Your bathroom surfaces, kitchen countertops, and even just simple dusting of furniture is always a good idea. Our moving company guarantees that you’ll feel better about packing and unpacking if you’re not inhaling a bunch of dust as you go. When’s the last time you tackled your fridge, or deeply cleaned off the burners on your stove? How long have you avoided cleaning underneath the oven or eliminated 90 percent of your junk drawer? Spring is the perfect time to really focus in on some of those spots that we often overlook. Plus, once you do it now, you won’t have to worry about it when you’re moving! If you take the time in spring to thoroughly clean things, it’s going to make future moves so much faster. You won’t have to worry about doing as deep of a clean while in the process of moving if things have already been taken care of. As always, Scott’s Oceana Moving is the moving company that can also make your move faster, even if you don’t do a ton of spring cleaning (though we still think it’s a good idea)! View our moving services and call us today for a free quote.